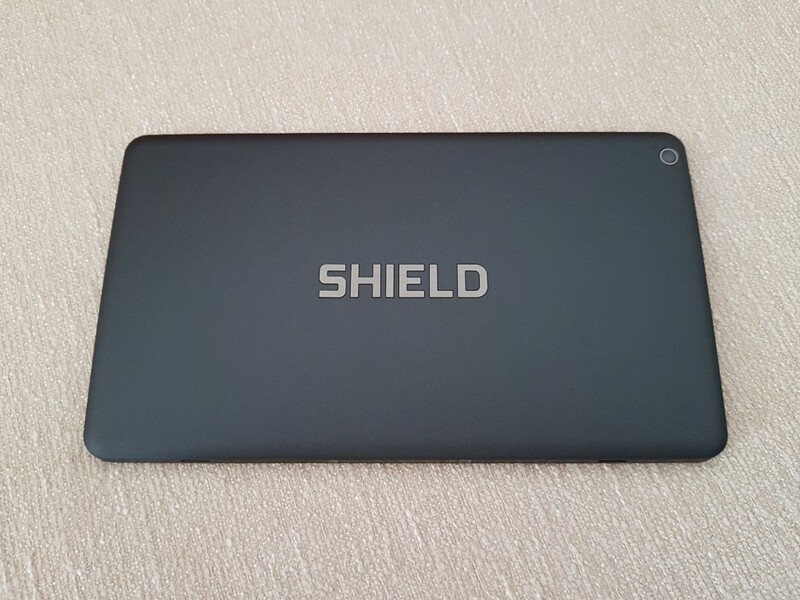 Shield K1 is NVidia’s attempt in the crowded world of android tablets. Shield K1 arrived in a very slim white box. The box is very slim because the only thing you will find inside is the tablet (and tiny sized documentation). NVidia chose this to reduce the cost since the tablet can be charged with the majority of smartphone wall chargers. It is actually a nice move that places the Shield K1 tablet in the below 200$/€ category. 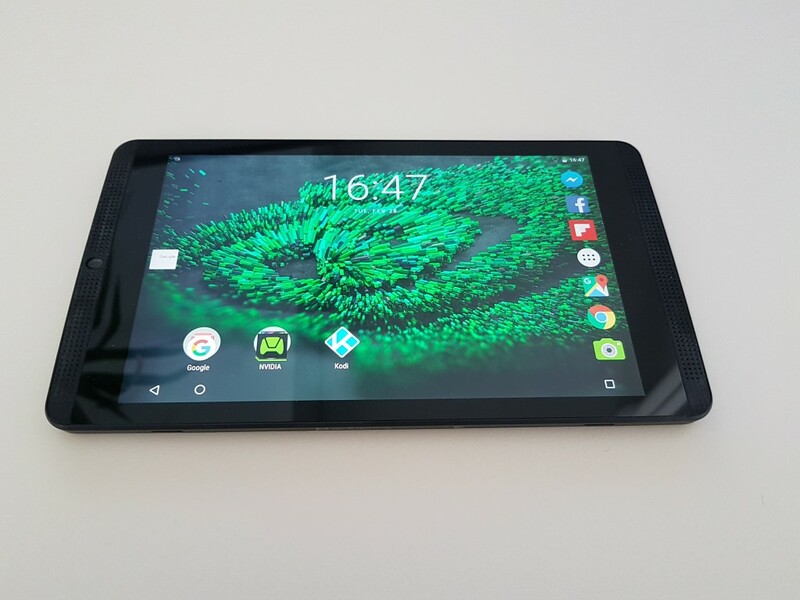 The tablet is powered by the NVIDIA Tegra® K1 processor, which features a 192-core NVIDIA Kepler™ GPU and 2.2 GHz quad-core CPU. It also has 2GB of RAM and 16GB of ROM. This SoC is almost the same as the one found in the powerful NVidia Shield media player (reviewed here) just with less GPU cores. Still, K1 Shield has the best GPU performance in the Android tablet category, which makes it the best available option for mobile (Android) gaming. In terms of I/Os, you will also find a mini HDMI port (more about it later), a microSD slot, headphone jack and the microUSB port for charging and connecting external devices. The display is 8-inch Full HD 1920 x 1200 (much better screen ratio than the common 16:9 one) and you will also find front facing stereo speakers with built-in microphone. It sports two cameras, one front facing and one at the back, both of 5MP each. The rear one supports auto focus HDR. Wireless support is also stellar with dual band Wi-Fi (2×2 MIMO) and BT 4.0. 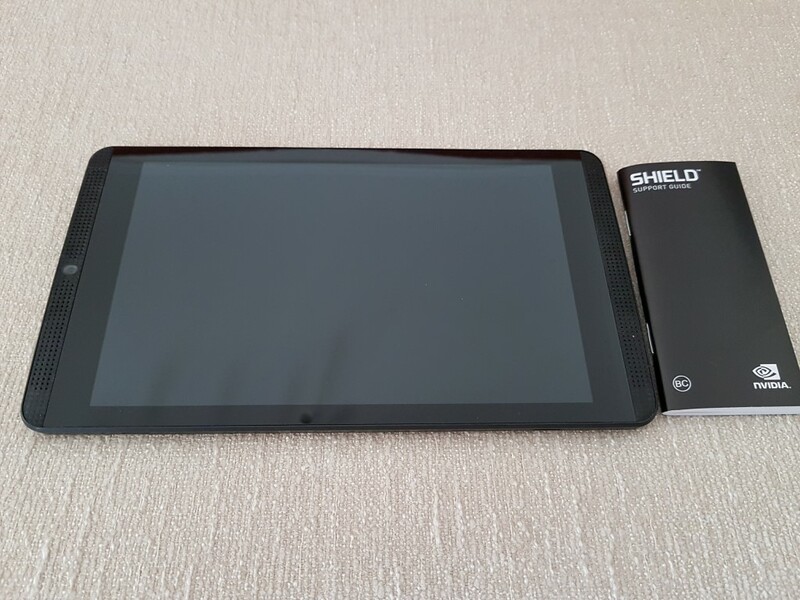 The Shield K1 tablet does not try to impress with its looks. It is simplistic, black (dark grey) colored, with no modern design (or anything that stands out in a positive way) but that is not necessarily a bad thing. Other than that the build quality is more than good. Nice grip (rubberized material), balanced weight and with the right amount of bezels for comfortable gaming when handled horizontally using both hands. Screen quality is very good. It is not an AMOLED or Retina, but has a good contrast and color reproduction both for games and movies. 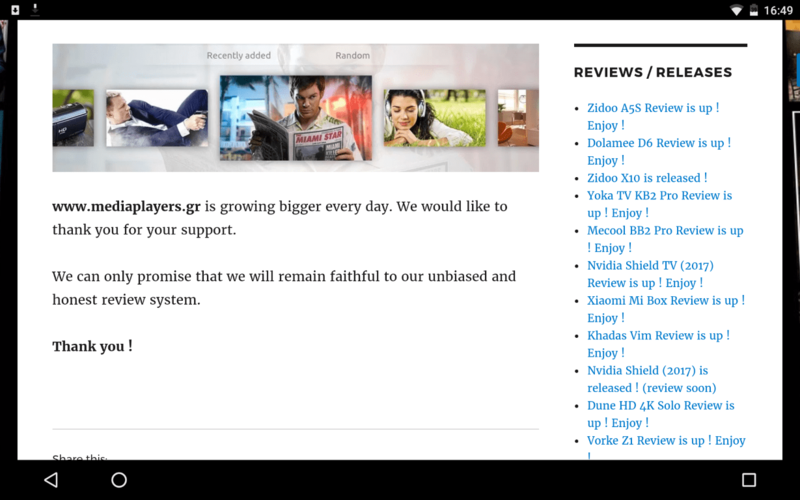 The high resolution also helps in order for all text to appear crystal clean and crisp. Full brightness is more than you will ever want but is still no match compared to IPad mini’s Retina screen. No complaints though. Speaker performance really stands out. You can enjoy portable music in the best (for a tablet) possible way. Volume can get pretty loud and beats the competition (Samsung, IPad mini and the majority of laptops) with ease. 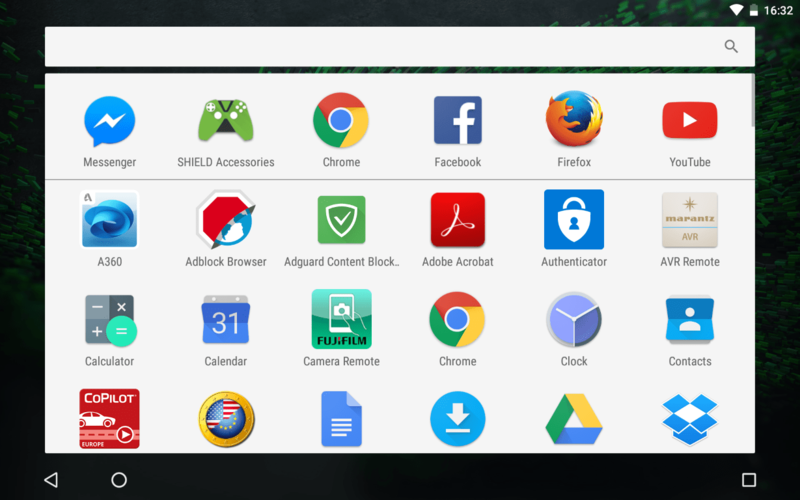 The NVidia launcher is stock Android with no significant changes compared to Google’s. 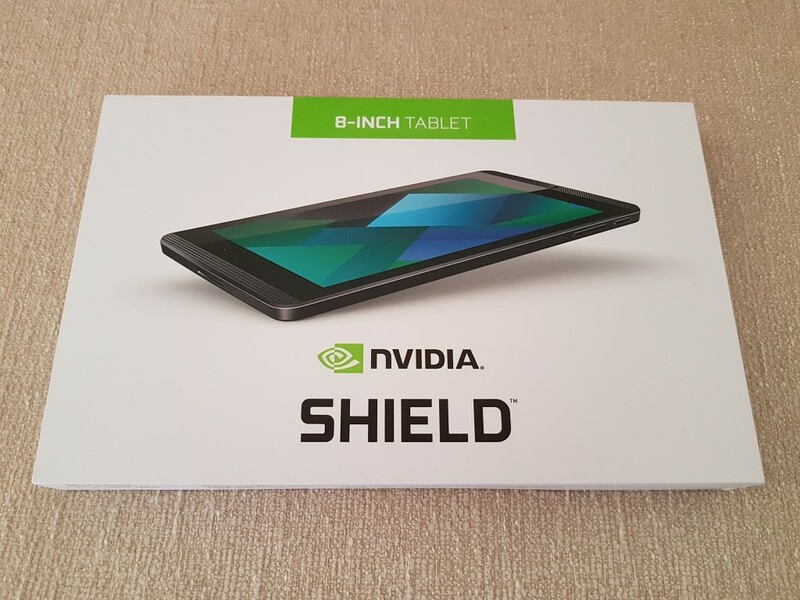 The tablet arrived with Marshmallow version and NVidia provides frequent updates that fix security and device issues. 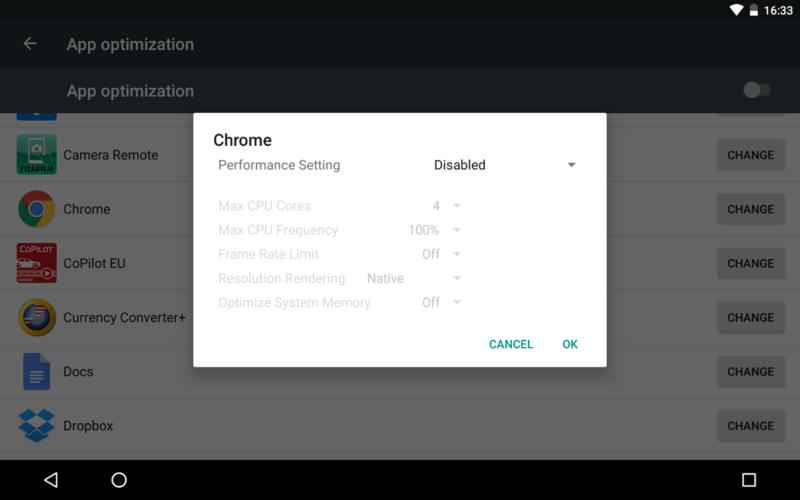 There is of course pre-installed software related to NVidia’s game services but it does not affect the overall Nexus-like experience during use. Unfortunately there is no split screen option but you don’t need to worry since it is integrated to the already available Nougat update. 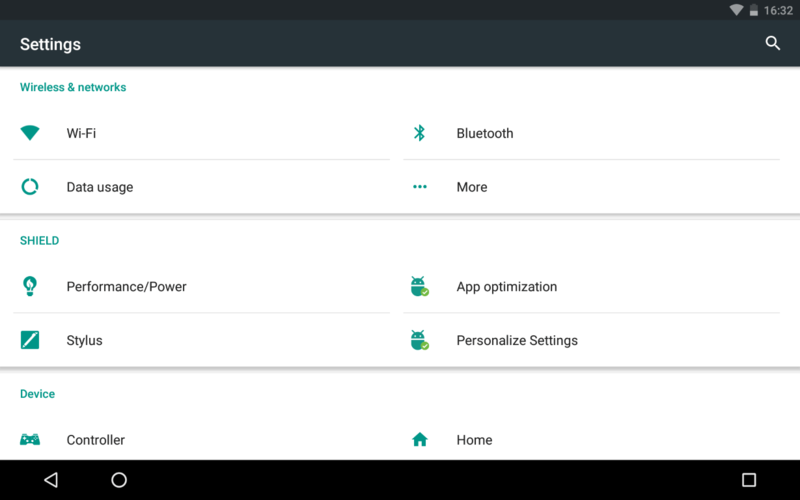 The settings menu is the white colored one we find in stock android devices. 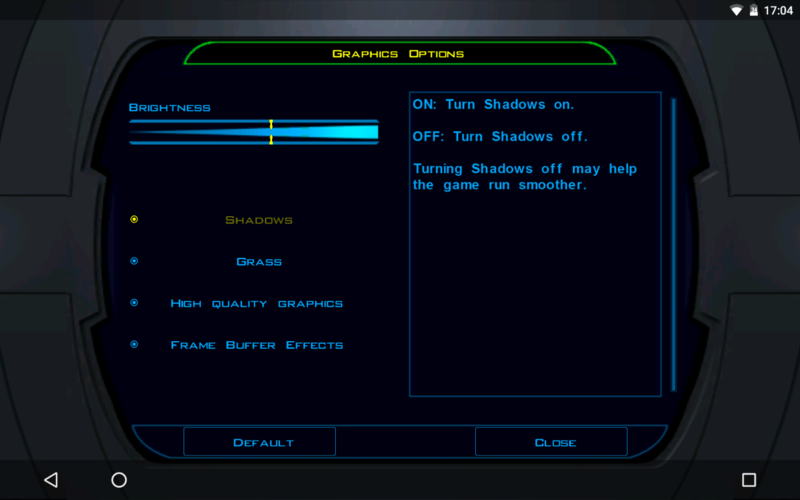 You will find added options regarding HDMI and performance settings. The “issue” of low available ROM memory (~12GB free) can be solved with Google’s new way (Marshmallow only option) of merging the microSD card with the internal storage. We tested a 32GB Samsung Class 10 microSD card with success and you can get up to 144GB if you wish (by using a compatible 128GB microSD card). 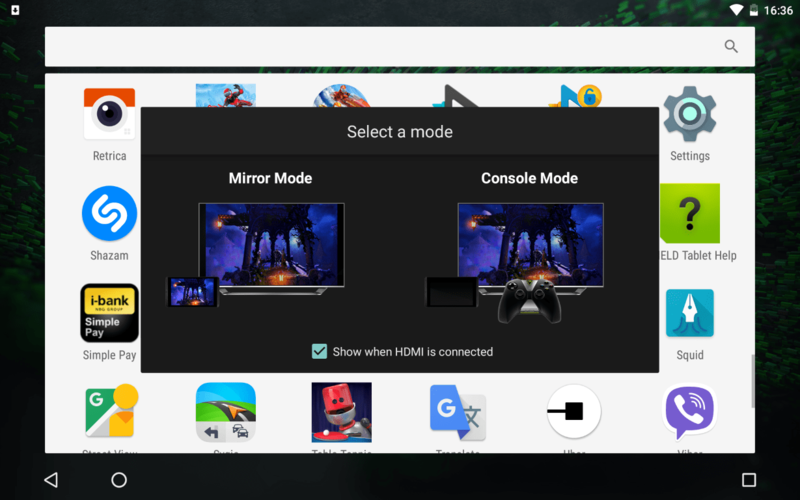 All of our tests were made with the Marshmallow version due to the fact that in the Nougat update HDMI out support is limited only to 1080p (with Marshmallow it goes up to 4K). Our media playback oriented review just could not tolerate this 🙂 Future update will most likely address this issue. Edit: Upon the arrival of Nougat’s second update, we can say that the browsing experience is now even better since some minor lags are now gone. The Nougat update is definitely recommended. Shield K1 has excellent performance in all areas. The tablet is labelled by NVidia as a gaming tablet and this is an area where it really shines. With the exception of NVidia Shield media player (more GPU cores), most probably here you will experience the best gaming performance in all titles. 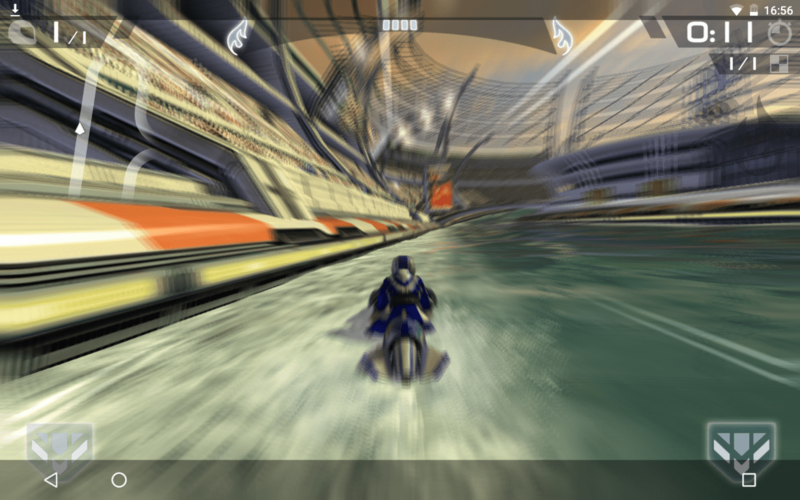 We tested many 3D games with heavy textures and K1’s performance was great in all cases. 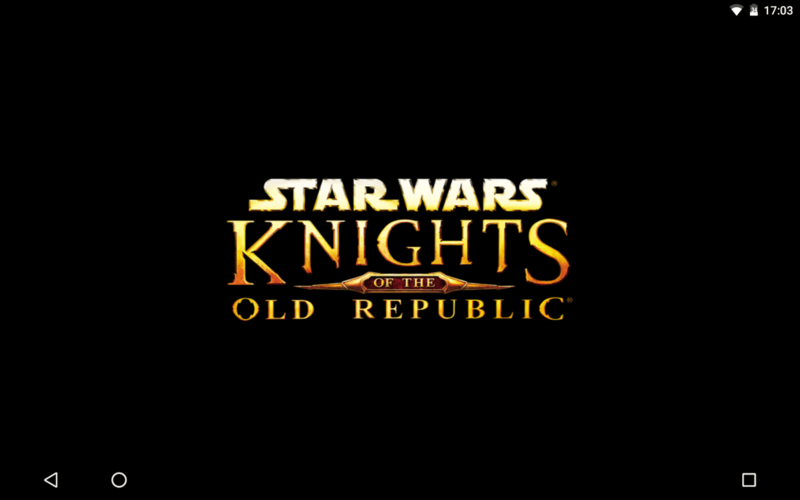 Games like Need for speed, Knights of the old republic and Asphalt 8 had very smooth performance. You can also use NVidia’s GeForce NOW (with paid subscription) service to gain access to quality PC games that are streamed to the tablet. Many famous titles are available with Batman: Arkham and Witcher 3 among them. During our test, gaming experience via streaming was near perfect. There were some minor lags (due network lags) but they were rare and did not affect playability. 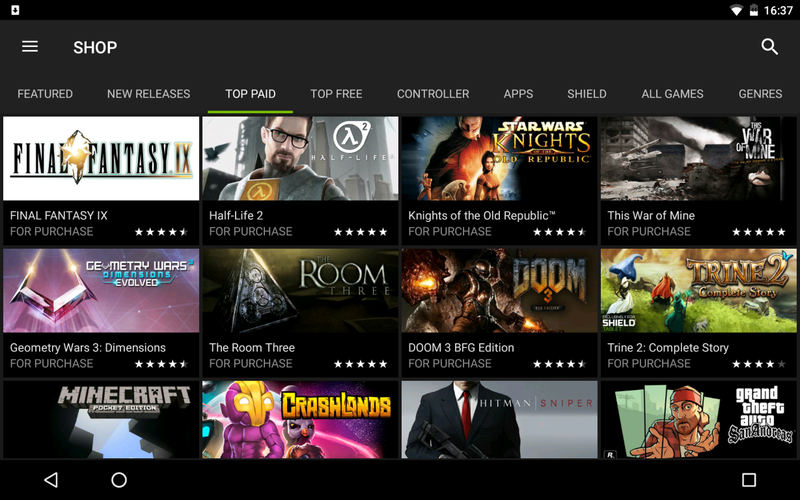 Of course in order to enjoy such services you will have to pair the tablet with NVidia’s (optional) Shield controller. In terms of media playback, Shield K1 was a great performer. 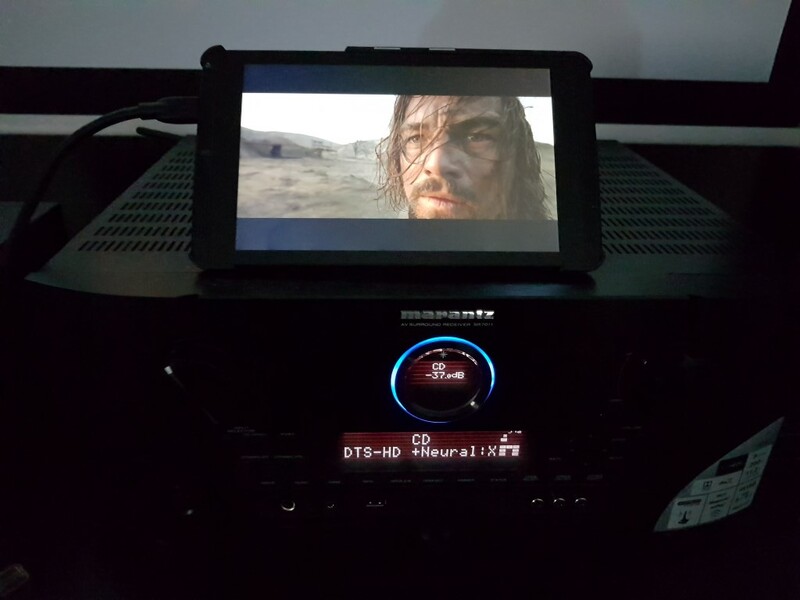 With the mini-HDMI port, we were able to output 4K and 1080p content through KODI (latest official 17 version). Motion was smooth and the biggest surprise arrived from the audio bit-streaming category were we got HD Audio pass-through. High bit-rate video files had flawless playback with the exception of Full BLU-RAY files were we got bottle-necked by the lack of fast AC dual band protocol. 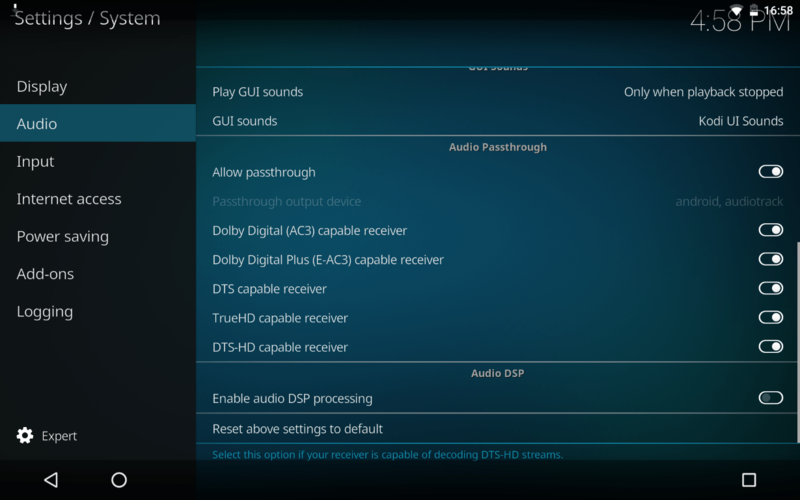 Playback from microSD and/or USB-OTG was perfect in all cases. 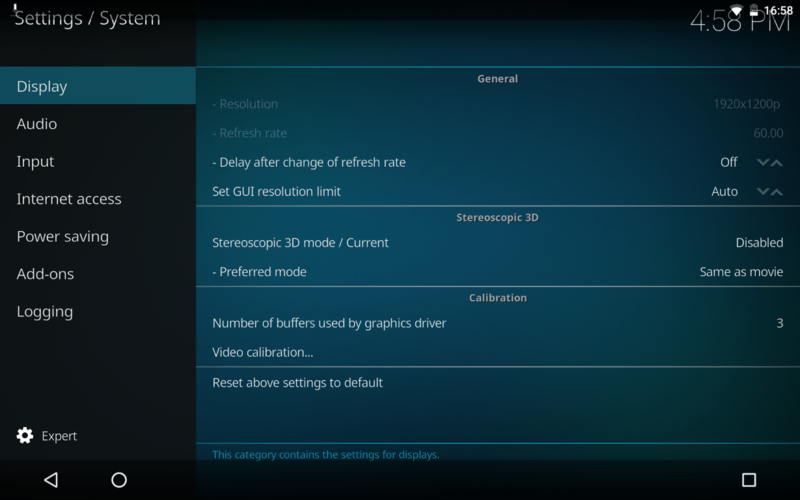 Performance of rear camera is more than decent for a tablet, but don’t expect anything more. Low light performance is mediocre and the lack of flash in the rear camera does not help at all. HDR does not do much either. Just keep in mind that in order to get good photos you will have to be in good light conditions. For basic tasks (a quick selfie, Skype calls etc.) the front facing camera is good with nice color reproduction. 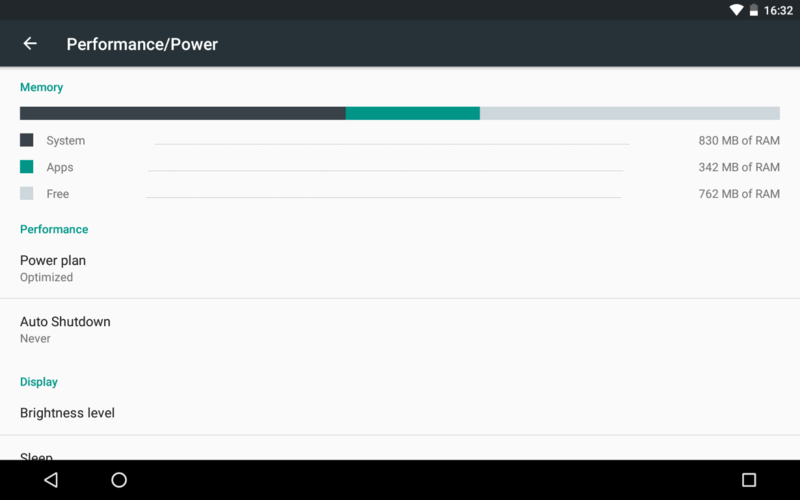 Battery life is good for an 8-inch tablet. You will never get the stand-by performance of the IPad mini-series but browsing in Wi-Fi mode will get you at least 7-8 hours (using multi tabs in Chrome Browser alongside with Facebook and Flipboard apps running as well). 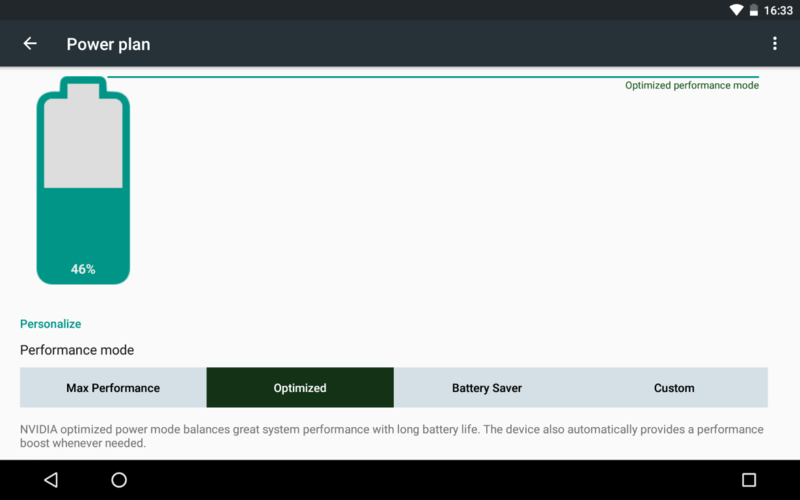 At least there are options were you can decrease performance in favor of battery life in system’s menu in case you need more battery life. When gaming, battery life is reduced and the percentage of it depends from the title. If you have the option to keep it plugged in while gaming, do so. 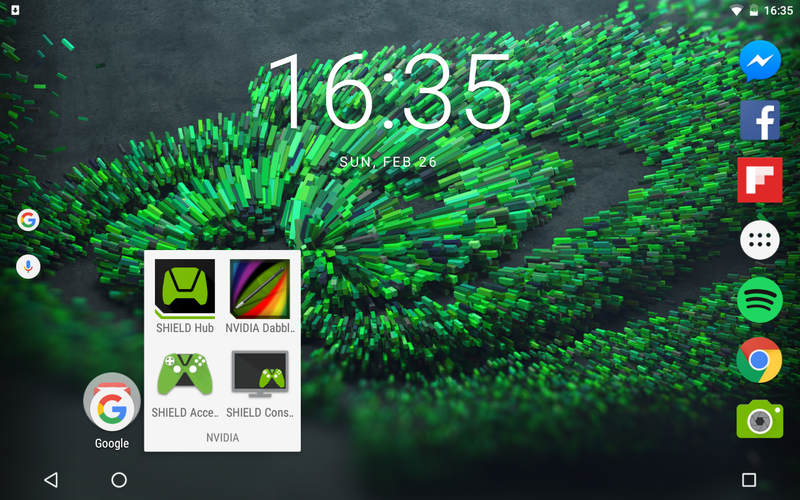 NVidia Shield K1 is a high performance tablet with a mid-range price. For 199$/€ you just can’t get a better Android performance and for sure a better gaming one. Not only because of GPUs performance but also because of GeForce NOW capability to stream A quality PC games to the tablet. Combine this with the Nexus-like experience and you are getting the unofficial sequel of 2013’s Nexus 7 for a great price. NVidia has also proven to be very reliable in terms of software fixes and upgrades so at the end of the day the Shield K1 is the best choice in his category.